Its core customers are mid-sized exhibitors needing an image update and upgrade, and adapts programs and systems to them, rather than vice-versa. Example? 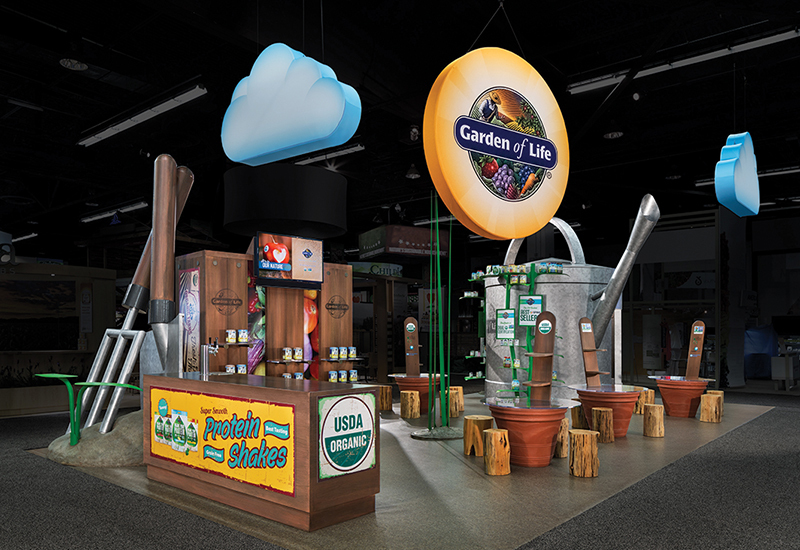 A 20×40 booth for natural product brand Garden of Life offered a “Honey, I Shrunk the Kids”-scaled visit to an organic garden, with 12-foot blades of grass and a 14-foot watering can that functioned as the conference room. Storage and reception resembled oversized fruit crates. Hey, we’re diggin’ it.